Using a latest generation laser is of the utmost importance when performing eye surgery. In the same way, it is very important to use different laser tools, because everyone has its strong points. Myopia laser corrections consists in changing the cornea curving through an excimer laser, that vaporises corneal tissue, changing its shape (and therefore its strenght). Myopia laser surgery can be performed thanks to several surgical techniques. Main techniques are LASIK and PRK. Today, several variations of these two exist, here some examples: LASEK and Epi-LASIK come from alterations of the original PRK technique, while Phemto LASIK or iLASIK is the most modern version of LASIK, where a laser is used to do what a microkeratome used to do. Will I be in pain during surgery? Myopia laser surgery is completely painless, thanks to the effectiveness of the anesthetic drops. Laser surgery lasts for about 5 minutes and comes after a short preparatory phase. After surgery, when the anesthetic effect ends, burning sensations, light sensitivity and a light headache could be experienced. Dr. Badalà performs myopia laser surgery in Milan and Catania with the latest innovations. In particular, he uses Phemto LASIK, a new technique that significantly reduces discomfort after surgery. With this kind of myopia surgery, a light discomfort is experienced during the first 24hrs after surgery; after that patients can restart doing everyday activities. With another myopia laser surgery, PRK, discomfort and a burning sensation can be experiences for the first 4-5 days after the surgery. In case of high degree myopia, laser could be not enough to cure it; in that case, it is possible to implant intraocular contact lenses, also called phakic. 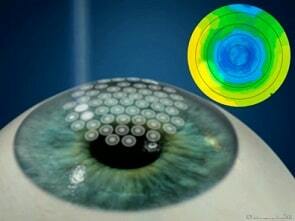 When this is the case, the lenses are implanted inside the eye: vision is restored far more quickly with this method. Several types of lens exist: Cachet with angular support, Artisan with iris support or Staar that are retro iris lenses. Each one of these lenses has peculiarities that make them optimal in different circumstances. The latest news when treating myopia is the intraocular High Tech lens, that is customizable with light: it is the result of the Nobel prize Grubbs studies. This is the latest solution in terms of “high definition” vision. During the phakoemulsification surgery, a Hight Tech lens is implanted in place of the natural lens; the Hight TEch lens is then customized thanks to a ray of light in an outpatient process. This technique can correct high degree myopial, farsightedness, astigmatism and also presbyopia. Once the lens had been implanted inside the eye, the final result can be modified simply by lightening the intraocular lens with a specific ray of light. Two weeks from the surgery, vision is measured with a photosensible lens: if present, flaws like myopia, astigmatism or farsightedness are spotted and the lens modified accordingly. Laser treatment was perfectly successful, fast and p... Keep on reading this reviewainless. 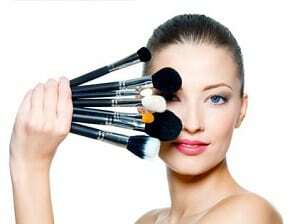 It was carried out in a surgical center with high standard equipment.